Andy Tolins is a guitarist, bassist and vocalist, who also plays dobro, mandolin and table steel. 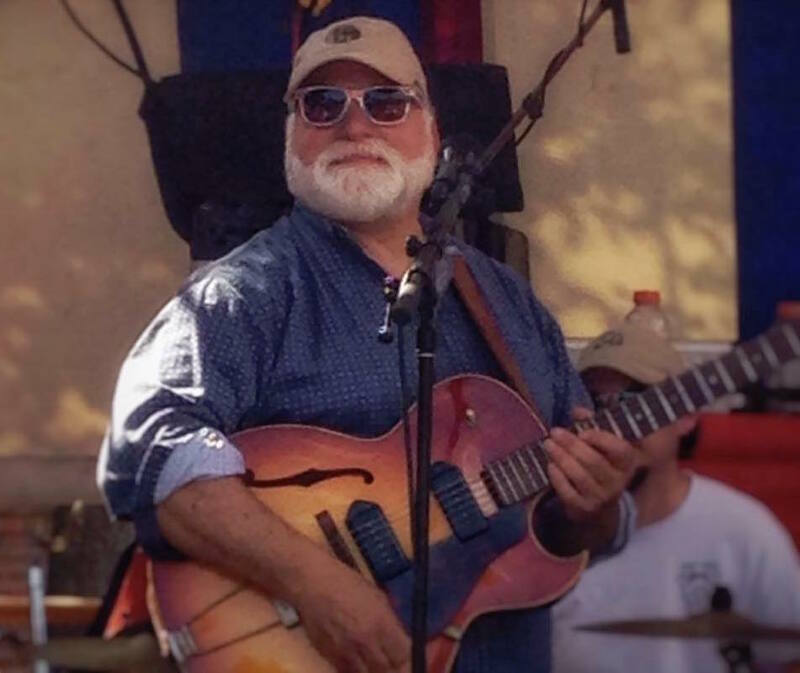 He is an accomplished songwriter, bandleader, and producer; winner of Billboard Magazine’s 1999 Best Unsigned Band award for “High Water” by the Triple A Blues Band. Andy has been performing full time in Central Pennsylvania and beyond for close to 30 years. His focus has been live American roots music, fronting his own blues and bluegrass bands every week (Wednesday and Fridays) at Zeno’s Pub in State College since 1991. He has been lead guitarist and contributing vocalist in the classic rock band “The Screaming Ducks” since 1988. He collaborates often with keyboardist, John “JT” Thompson, performing as “Thompson and Tolins” on the 1st Sunday of each month at Webster’s Cafe and Bookstore in State College. Before forming his bluegrass group “Haystack Lightnin’,” he performed for many years with his late wife, Susan Kemper, in their band “Red Apple Juice”. He loves performing live – building on the club’s energy and vibe, and is always learning to keep it fresh and spontaneous for each performance. At this site you can find songs recorded over the years and will be able to purchase and download selections from his various CD projects. The best is yet to come, so please stop by often as we continue to add and refine this site’s content. Copyright Andy Tolins, 2019. Designed by Carolyn Mudgett.